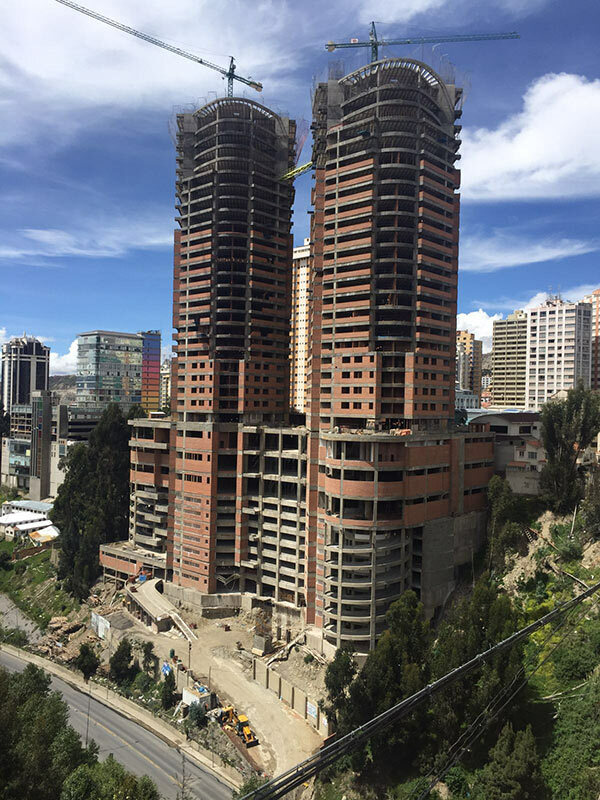 In October 2014, the subsidiary of the ConstruccionesRubau, S.A. company was established in La Paz (Bolivia), with the name Construcciones Rubau, S.A., Sucursal Bolivia. Our enterprise in the country began immediately, with the contract for the development of the Torres del Poeta Condominium project, a construction that comprises four blocks, three of which are dwellings, one of which is offices, a shopping centre and an eight-storey car park with a total of 120,000 m2 of vertical construction. The expected delivery date of the works is June 2017. In September 2015, the construction of the road between Puente Taperas and La Palizada got underway. The project is located in the central region of the country, in the Departments of Cochabamba and Santa Cruz. The road has a length of approximately 40 km, from Puente Taperas to La Palizada, and follows the existing dirt track between both points, improving the route in both plan and elevation. But it was not until the end of 2015 when RUBAU GRUP met its expectations thanks to its participation in the project of the new Plurinational Legislative Assembly of Bolivia. This project is representative of the process of change in Bolivia and will be an emblem of the Plurinational State and a symbol of modernity.